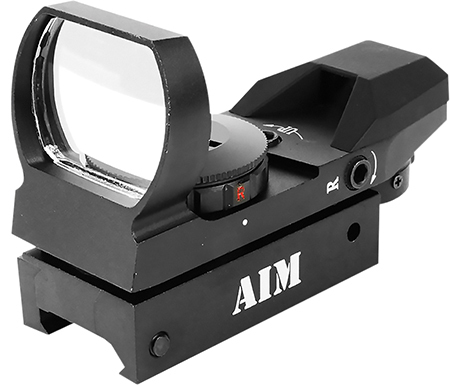 The Reflex Sight 1x34mm is a lightweight compact reflex sight with a wide field of view. With four reticle patterns dotcrossstarburstbullseye and redgreen illumination this reflex sight has ultrafast target acquisition and unlimited eye relief. It has an aircraft grade aluminum body and fog proof and shockresistant housing. The coated lens provides superior light transmission resolution and scratch resistance. It has an integrated PicatinnyWeaver mount and includes a protective lens cover.